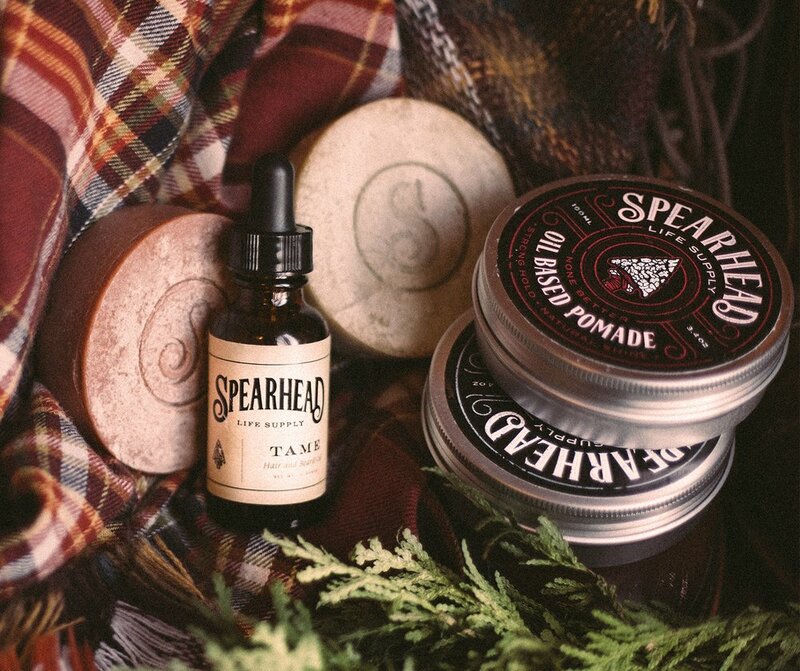 Born from a passion for men's style and handmade craftsmanship, Spearhead is an independent manufacturer of high quality grooming products. Using the graphic language of apothecary product labels from decades past, the brand identity and product packages are designed to reflect the company's rugged, do-it-yourself spirit. Tying it all together is the packaging, which uses kraft paper, twine, ink stamps and wax seals to emphasize the handcrafted aesthetic and let the product speak for itself. The product line began with soaps, shampoos and beard oils, and later grew to include three different styling pomades stored in circular tin containers. In 2016, founder Mitch Bright expanded the Spearhead brand into a physical environment by opening Spearhead Barber & Supply, Waterloo's premiere provider of traditional cuts and shaves. All of Spearhead's products are made by hand in small batches, and the sensory factors of touch and smell are integral in the customer experience. As such, the packaging for the grooming products leverages paper sleeves and a stamp die of the brand's S icon to allow the product to be in direct physical contact with the customer. 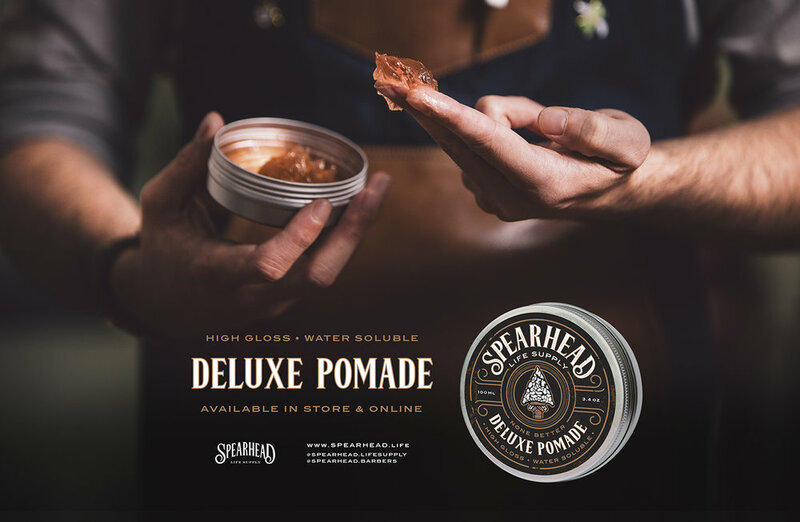 Following the success of the initial Spearhead Life Supply product line, the brand has expanded to include a full barbershop and storefront in the heart of Uptown Waterloo. The branding I had carried across the company's grooming products was then broadened to include signage and marketing collateral for the barber shop.